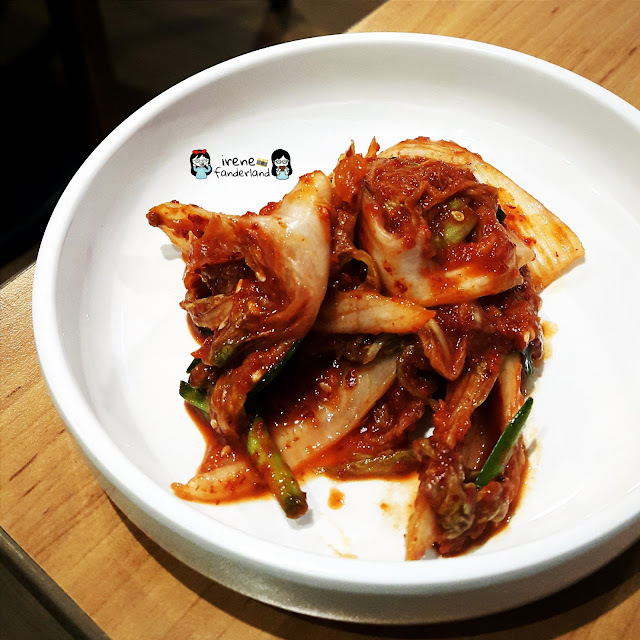 A few weeks ago, after having lunch at Chung Gi Wa, Supermal Karawaci, we noticed that they have expanded their business by opening another restaurant specialized in Korean noodle dishes. 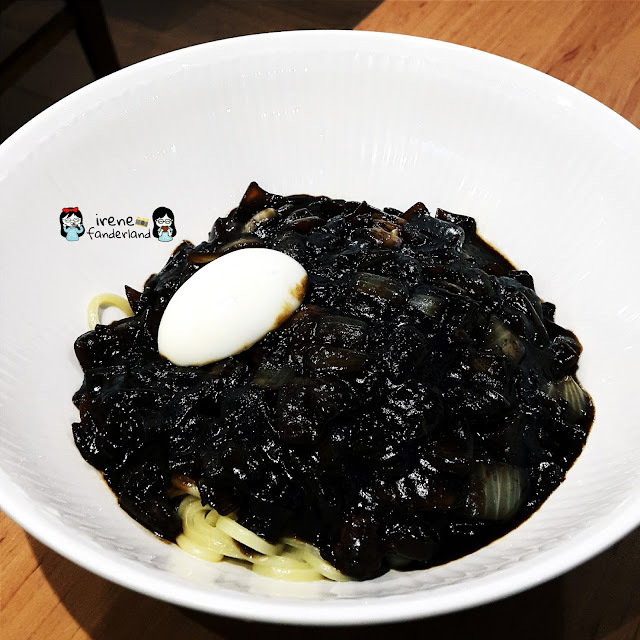 It's called J.J.M which means Ja Jang Myeon (Korean noodles with Black Bean Sauce) and located besides Chung Gi Wa. 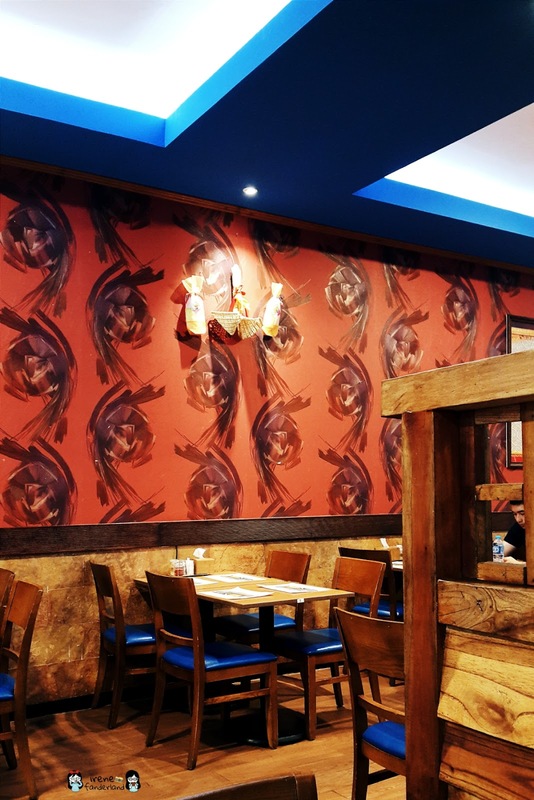 Today, we finally have our chance to try the new restaurant. The place was not really spacious, but comfy enough. The interior was mostly decorated with woods. 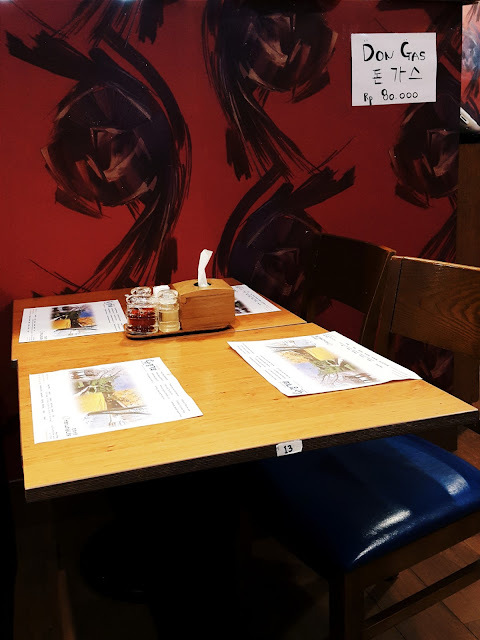 Besides the complementary side dish like Kimchi, they also gave us a free drink (a bottle of tea). 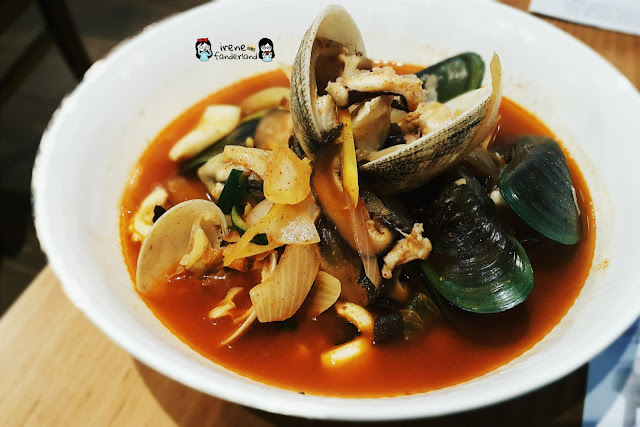 Jjampong is a Korean spicy noodle soup flavoured with seafood. 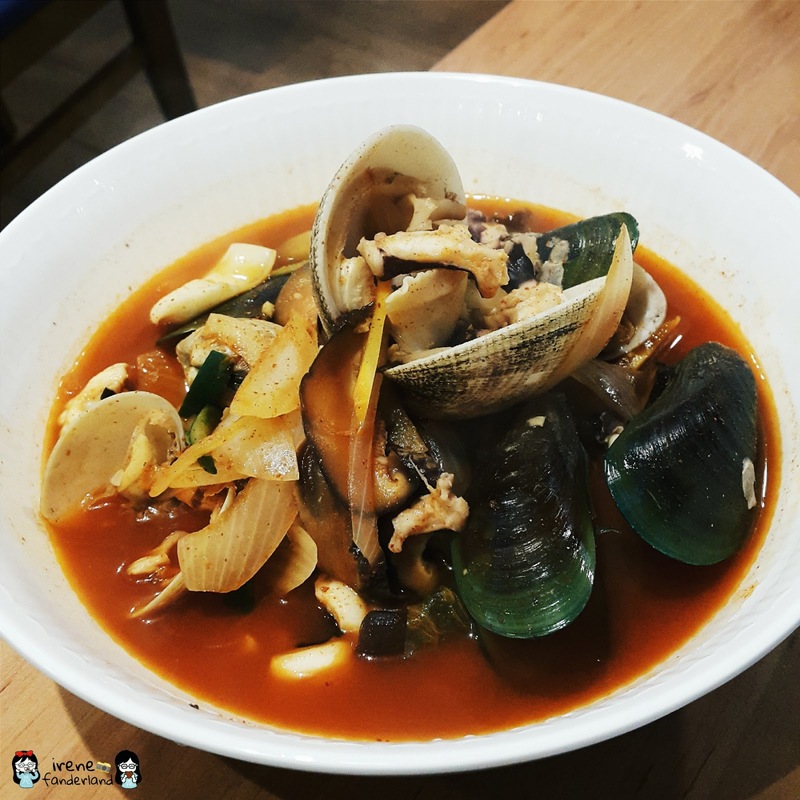 This one was rich of flavor, had generous amount of seafood, a little bit too spicy yet delicious. Some of the seafood were overcooked so it was hard to chew though. Many of you already familiar about this dish, I assume. 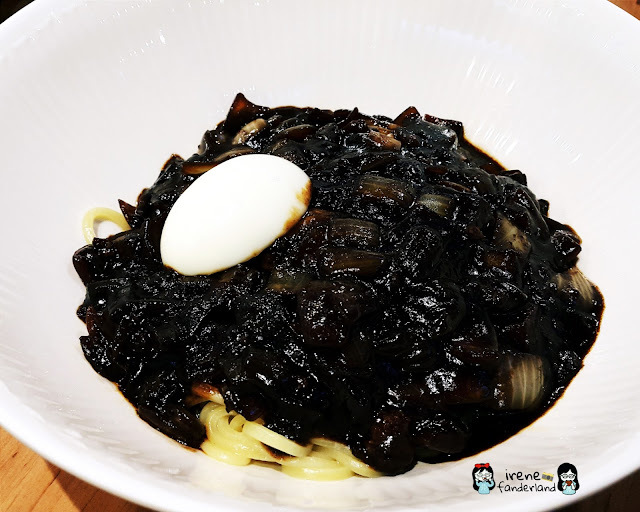 Yes, it's a Korean noodle with black bean sauce. 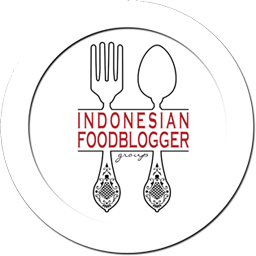 I think they added some Indonesian spices into this dish to suit Indonesian palate. But it turned out good and tasty. The noodle had a nice texture, but the topping was not generously given. All I could see was just onion, potato and half boiled egg. Overall, It was quite satisfying. I think I'll be back to try their Donkatsu (Breaded Pork Chops) and other dishes.